When I bought the 235 to replace my 216, it didn’t come with a distributor. It wasn’t until I bought a ‘235’ distributor on eBay did I come to the realization that for the ’49 216 and the ’55 235 the distributors were identical! Looks like I have a parts distributor. Once I realized the dizzy’s were the same, I opted to restore the rougher one off of my 216. It had lots of parts on it Made in Canada. I’m trying to keep as much original equipment on the truck as possible. The original was caked in oil dirt, like most of the engine. Before dipping it in cleaner, I had to scrape a lot of it off. To get the center shaft out, I had to hammer out a pin keeping the gear in. It wasn’t easy, and with 3 distributors to play with I had a couple to practise with. It a good thing too, I did some good damage with the first in the bench vice. The 2nd and 3rd came out easier. I soaked all the parts in carb cleaner and then used my Dremel with a wire brush to clean up and polish the rest. I went with a shaft from the dizzy I bought on eBay as it was in better shape than the original from my 216. Some flat black paint to the body was the only touch up needed. Time for reassembly. The grease cup assembly has been a source for confusion and debate amongst restorers. Behind the grease cup is a spring and a bakelite plug with a fibre backing. Only one of three distributors I have had this plug. I made sure it went back into my restored dizzy. The points and condensor cleaned up well and looked great in the cleaned up and polished assembly. So I bought a dizzy for the Vacuum Advance on ebay – it looked in better shape than mine so I tried to put it in my 48 216 Chevy. It went in at 2 0’clock and not 6 o’clock like the original. So I swapped the VA and put the old one back in. When I looked at the shaft side by side – sure enough the notch for the roter is off by 2. When a dizzy is rebuilt can they screw up the alignment? Jeff – I’ll see if I can find my spare dizzy and measure that up for you. 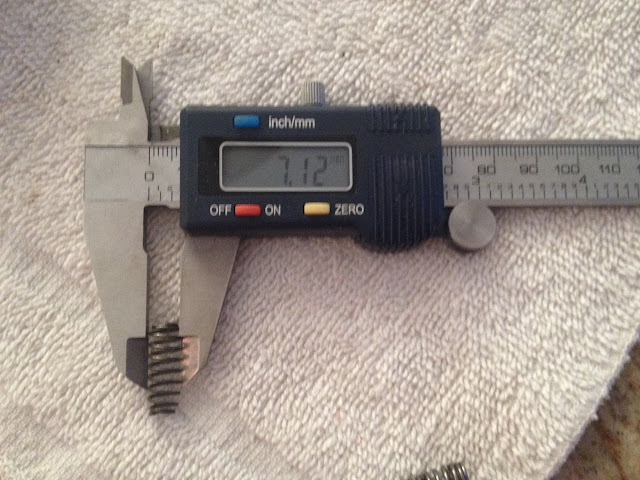 I didn’t have a spare plug – but its roughly the same width as the spring – and about 4mm thick. Wish I had an answer for you RC, all three of my VA’s were identical. I’ve just come across you site and do not know where you are in your process at this date, but I wanted to caution you about exchanging distributors between motors. 1953 and older cams were steel. From 1954 and on they were iron. You can verify which you have by measuring the distributer gear on the cam. 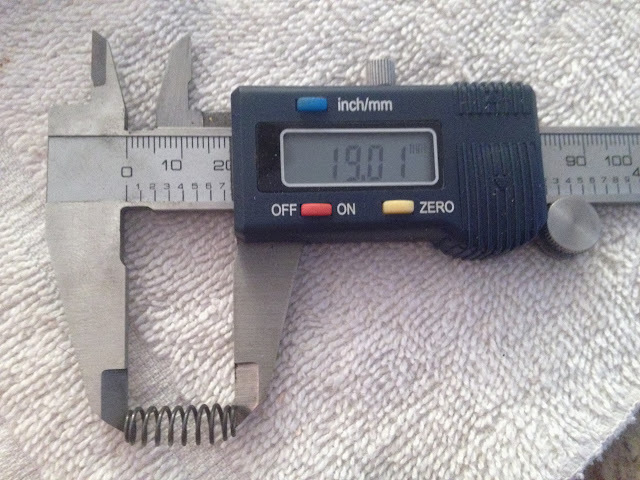 The older (steel) ones have a cam gear that is less than 1/2″ wide. The newer iron ones are wider than 1/2″. You can visually check them by inserting a 1/2″ wide paper gauge into the distributer hole and holding it across the gear while eyeballing it with the aid of a flashlight. You must use a steel distributor gear on a steel cam and an iron one on the newer iron cams, or you will destroy both the cam and the distributor gear.